Gran Oasis Resort is a luxury aparthotel, set next to Las Américas Golf Course. 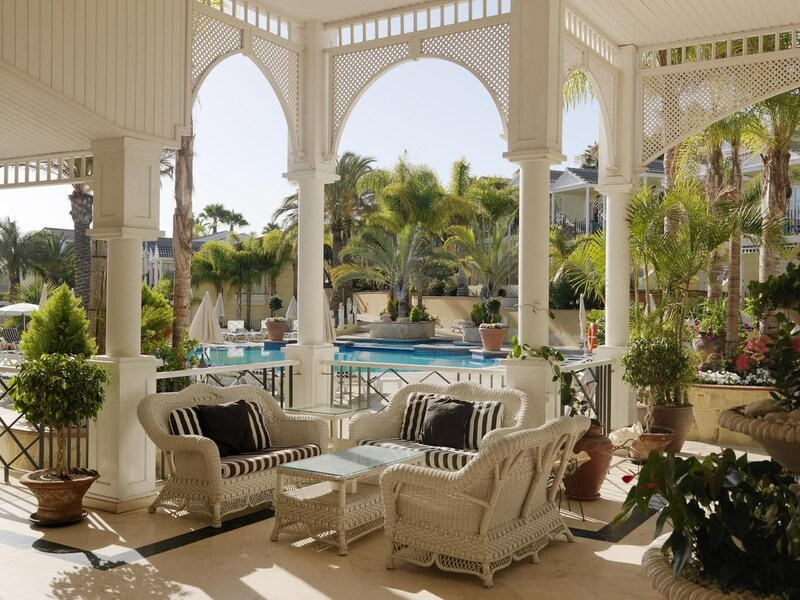 Set in gardens, this complex has a large outdoor swimming pool and views of the Atlantic Ocean. 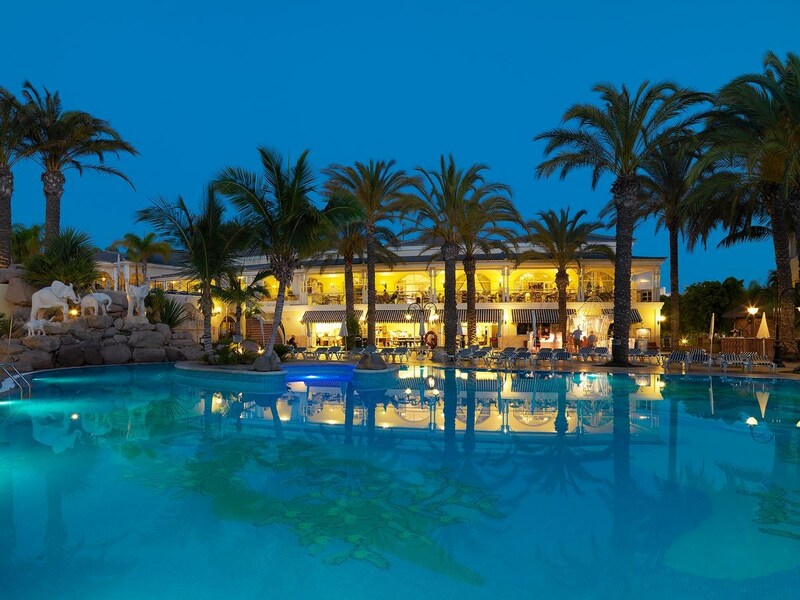 The hotel is set between Playa de Las Américas and Los Cristianos. The nearest beach is less than 1.2 miles away. The Oasis resort offers a bus service to the area's tourist attractions. There is also a popular boat service from Playa de los Cristianos to the island of La Gomera. There is a 24-hour reception in the hotel, offering currency exchange, car rental and babysitting. There is also a tour desk and on-site shops. 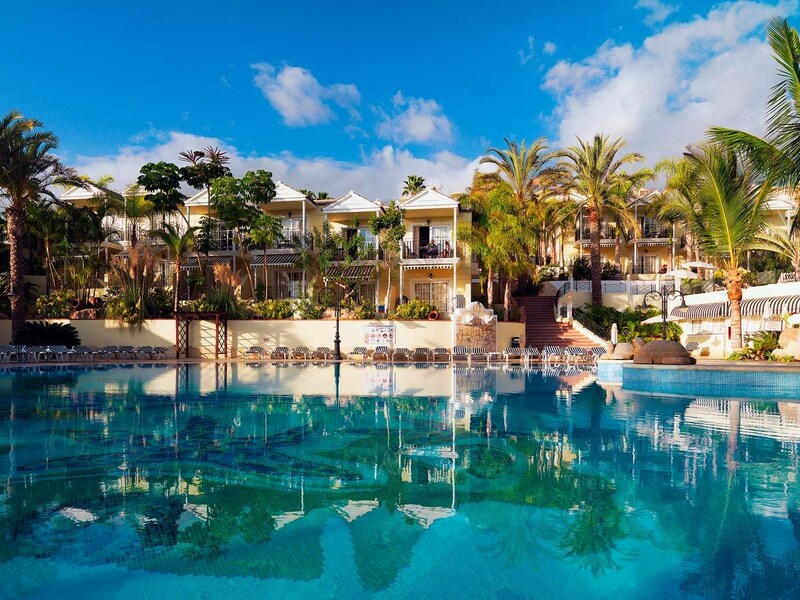 Located between the resorts of Playa De Las Americas and Los Cristianos, Gran Oasis Resort offers luxurious accommodation with a high quality service making it an ideal place for couples and families alike. 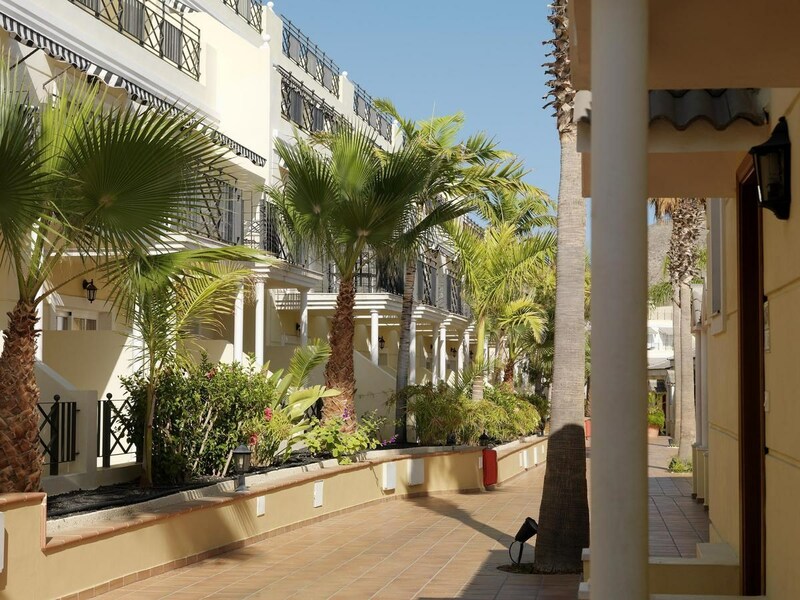 The complex is set in an array of tropical gardens with fountains and terraces, and boasts superb views over the golf course towards Playa De Las Americas and the sea. The hotel also features an outdoor swimming pool, free Wi-Fi throughout and summer parties every night held around the pool area. 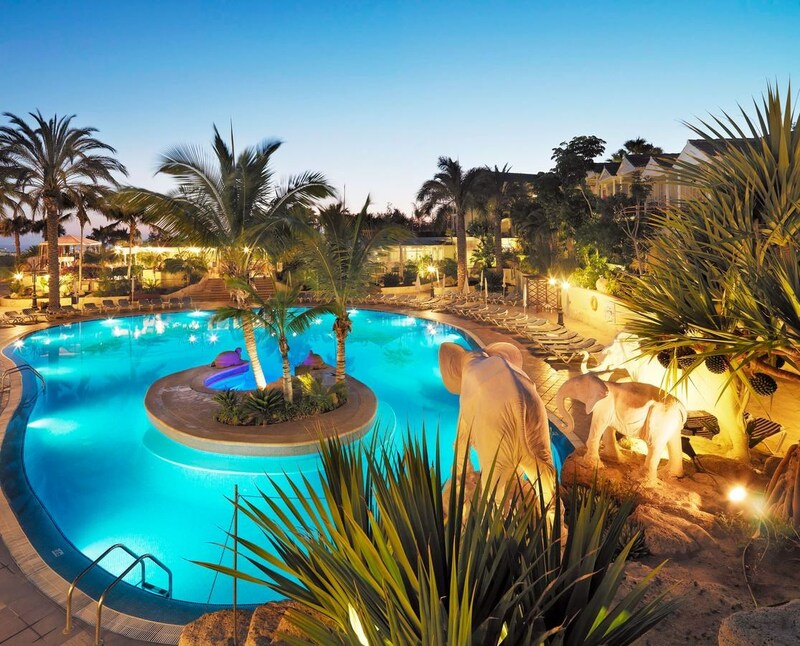 This hotel is located 2km from Las Americas and Los Cristianos Beach. It is 16km from Tenerife South Airport and 80km from Tenerife North Airport to the hotel. 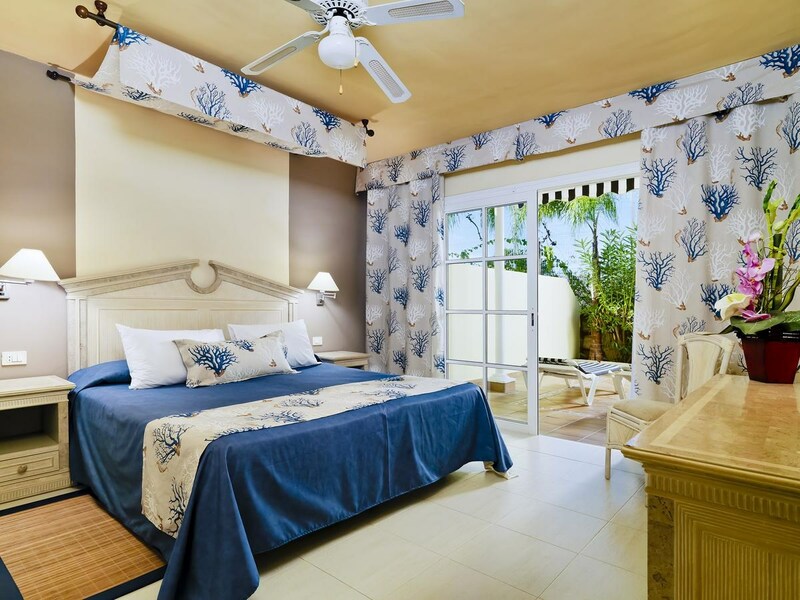 The hotel offers Suites with one or two bedrooms, some of which feature a Balinese bed or a private solarium. All rooms include a bathroom with hairdryer, fully-equipped kitchen, living room, TV, telephone and a balcony. The hotel has a buffet restaurant and a poolside bar. During meals water, draught soft drinks, house wine and draught local beer are offered. There are two freshwater swimming pools (heated in winter), a separate children’s pool (heated in winter), two unsupervised playgrounds, two Jacuzzis inside the pool, a sun terrace with free sun loungers and parasols and a games room including pool tables at the hotel. Also available are table football, giant chess and a mini disco. 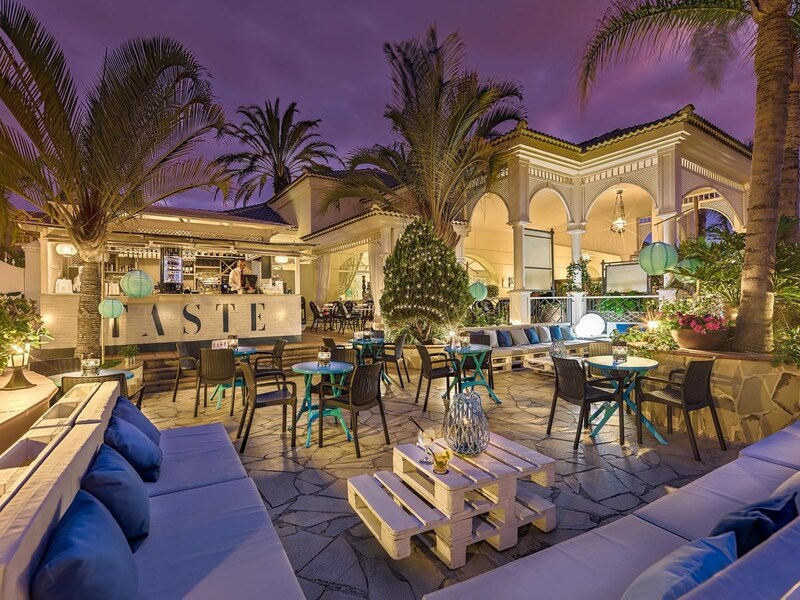 This hotel offers free Wi-Fi throughout and summer parties are held around the pool area every night. Please note that some of the above facilities may carry local charges.